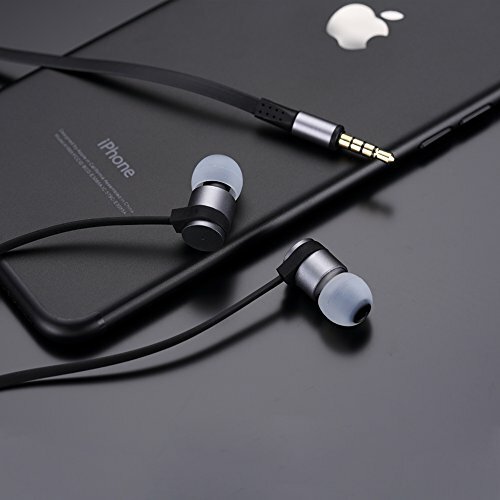 Earphones, which is related with mobile phone manufactures. Please read the mobile phone specifications carefully. 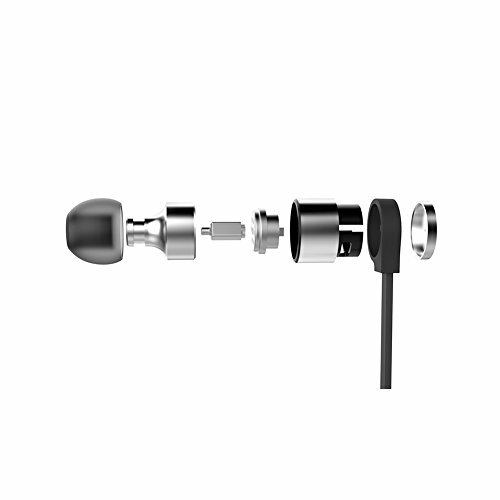 installing software, districts and forth, not caused by mic control.Noise Isolating Perfectly In Ear— in-ear earbud headphones conform to your ears, provide a precise fit and reduce outside noise, and come to you with S/M/L size eartips ensure a comfortable and secure fit for everyone. 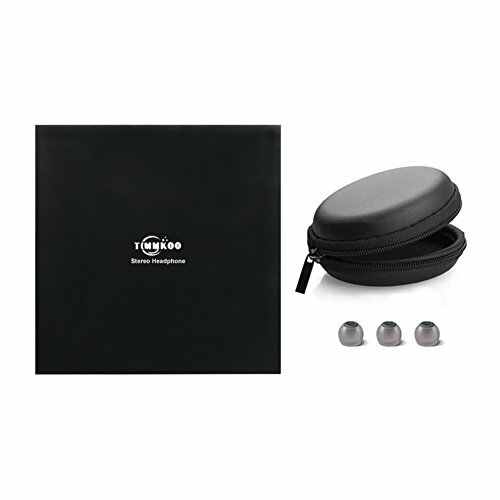 High-fidelity Sound— 8mm moving coil with the moving iron unit to keep sound more pure and powerful bass driven. 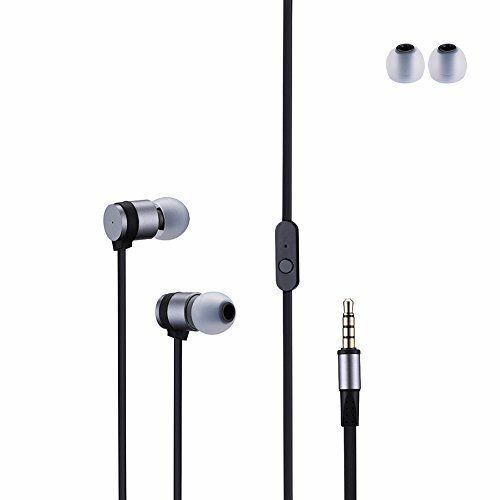 So the earphones are suitable for heavy metal rock, classical, jazz, electronic, ACG or pop and so on, are the first choice for music lovers. 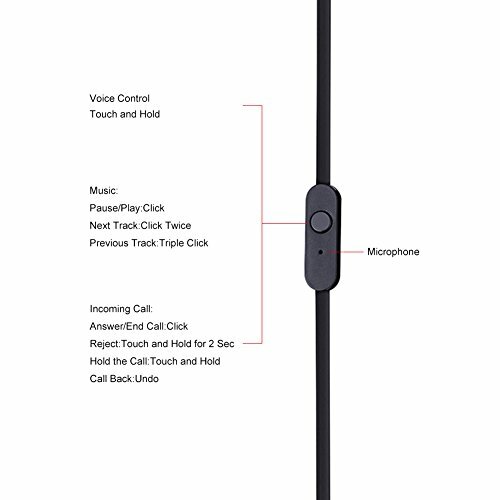 Built-in Microphone— it is convenient for you to call or answer any calls anywhere. 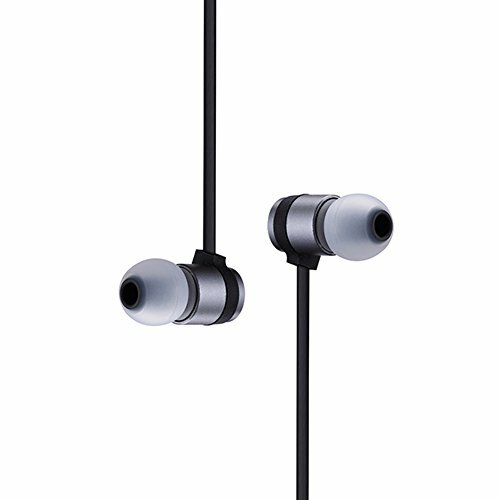 When you are running, or in a short trip, especially on the subway or bus such noisy place, you can listen very clearly with these headsets. 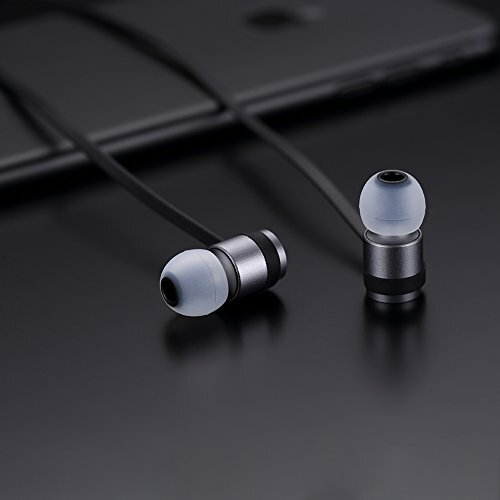 Standard 3.5mm plug & TPE line— the earphones works with iPhone, iPod, iPad and Samsung Android phones, tablets, computer, HIFI player, mobile games as well as mp3 players, and related audio devices. And the TPE line won’t be easy to knot when organizing. 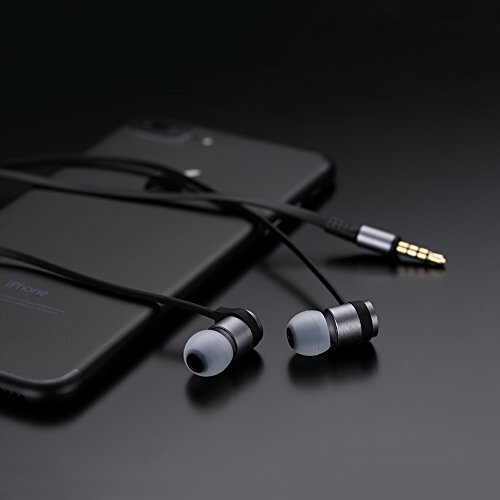 FULL MONEY BACK GUARANTEE: Manufactured by the OEM factory for the world famous brands, these earphones have a top quality control process so that we could provide the full money back guarantee if you are not satisfied.